Below you fill find all funeral homes and cemeteries in or near Mohall. Mohall is also known as: Renville County / Mohall city. Zip codes in the city: 58761. Some of the notable people born here have been: Wayne Stenehjem (politician). Mohall is a city in Renville County, North Dakota, United States. It is the county seat of Renville County. The population was 783 at the 2010 census. 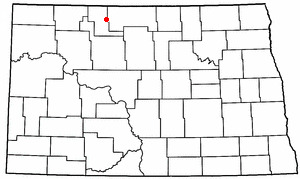 Mohall is part of the Minot Micropolitan Statistical Area. It was noted by The News Tribune on February 25th, 2018 that James Jr Moergelli passed on in Washington. Send flowers to share your condolences and honor James Jr's life. It was revealed by The Mail Tribune on November 15th, 2017 that Elden R Slapnicka passed on in Oregon. Slapnicka was 91 years old and was born in Mohall, ND. Send flowers to share your condolences and honor Elden R's life. It was reported on March 6th, 2017 that John Marlyn Solemsaas passed away in Mohall, North Dakota. Solemsaas was 57 years old. Send flowers to express your sorrow and honor John Marlyn's life. It was revealed by Tri-City Herald on November 27th, 2016 that Melvin John Herigstad passed on in Richland, Washington. Herigstad was 95 years old and was born in Mohall, ND. Send flowers to share your condolences and honor Melvin John's life. It was revealed by The News Tribune on October 18th, 2016 that Betty D Livernash passed away in Graham, Washington. Livernash was 78 years old and was born in Mohall, ND. Send flowers to express your sympathy and honor Betty D's life. It was reported by The Bismarck Tribune on August 27th, 2016 that Pearl M Zerr passed on in Mohall, North Dakota. Zerr was 93 years old. Send flowers to express your sorrow and honor Pearl M's life. It was written on July 27th, 2016 that Herbert Herman Siltman passed on in Washington. Siltman was 87 years old and was born in Mohall, ND. Send flowers to share your condolences and honor Herbert Herman's life. It was reported by Minot Daily News on July 19th, 2016 that Dennis C Anderson passed away in Mohall, North Dakota. Anderson was 24 years old. Send flowers to express your sympathy and honor Dennis C's life. It was noted by Tri-City Herald on June 17th, 2016 that Lorna Faye Good passed away in Kennewick, Washington. Good was 74 years old and was born in Mohall, ND. Send flowers to express your sorrow and honor Lorna Faye's life. It was reported by Minot Daily News on April 14th, 2016 that Jeremiah Patrick Kelly passed away in Mohall, North Dakota. Kelly was 44 years old. Send flowers to express your sorrow and honor Jeremiah Patrick's life. It is the county seat of Renville County . Hall, a businessman from Duluth, Minnesota Minnesota. The city was originally named Hall but this conflicted with another community in North Dakota with the same name, so it was changed to Mohall in 1902. O. Mohall was founded in 1901 by M.
The official website for the city of Mohall is http://www.mohallndak.com/. Welcome to the Brose Funeral Home website. It is the goal of myself, and my staff, to meet the needs of each family that is served. Funeral service is changing. Find a Funeral Home inMohall, North Dakota ND to provide the caring burial and ceremonial services your family deserves. We work with local florists and flower shops to offer same day delivery. You will find budget sympathy flowers in Mohall here. Our funeral flowers are cheap in price but not in value.